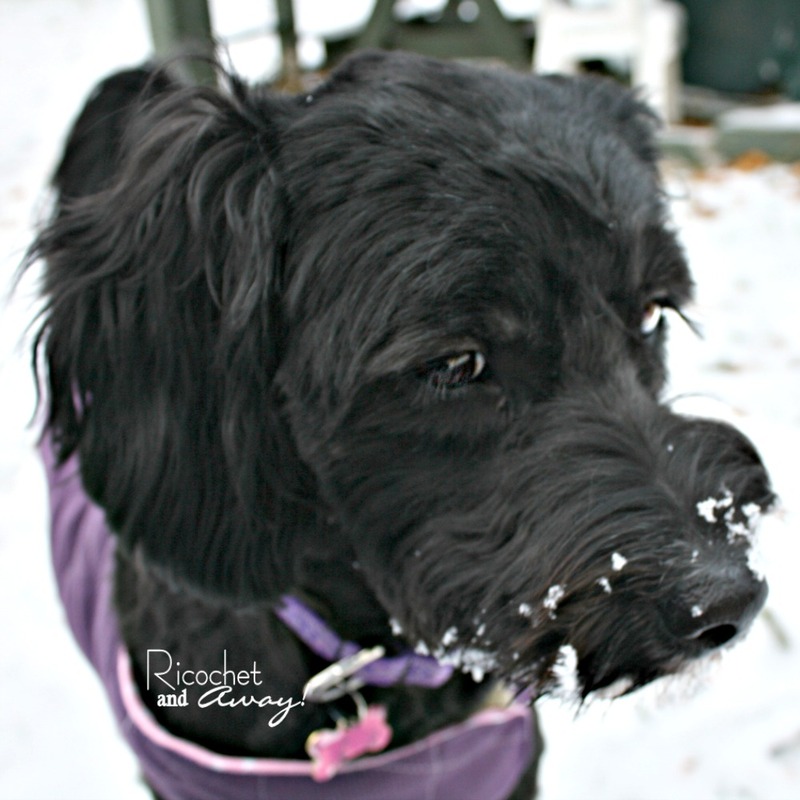 This post contains way too many photos of my dog! They are not even very good photos! I'm sorry! I couldn't help myself! 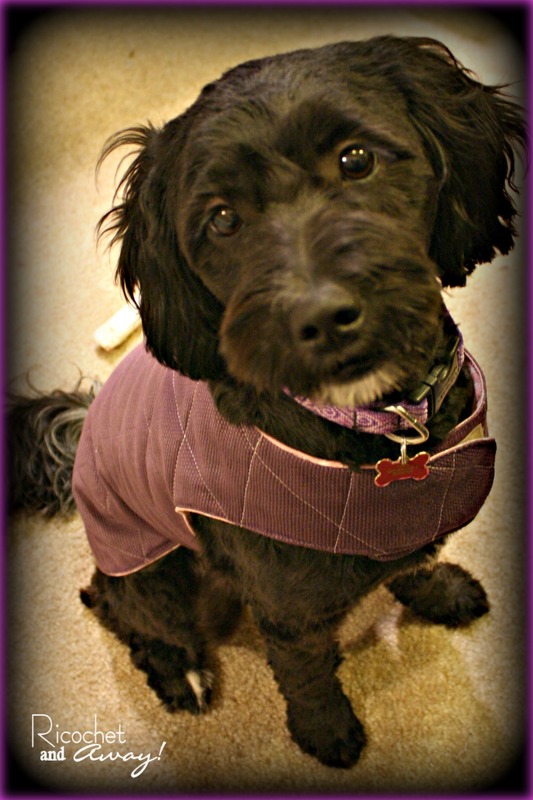 I think that Pippa likes her coat. Well, she knows that we're going for a walk when I put it on her. Perhaps she's just tolerating it because of the walk. 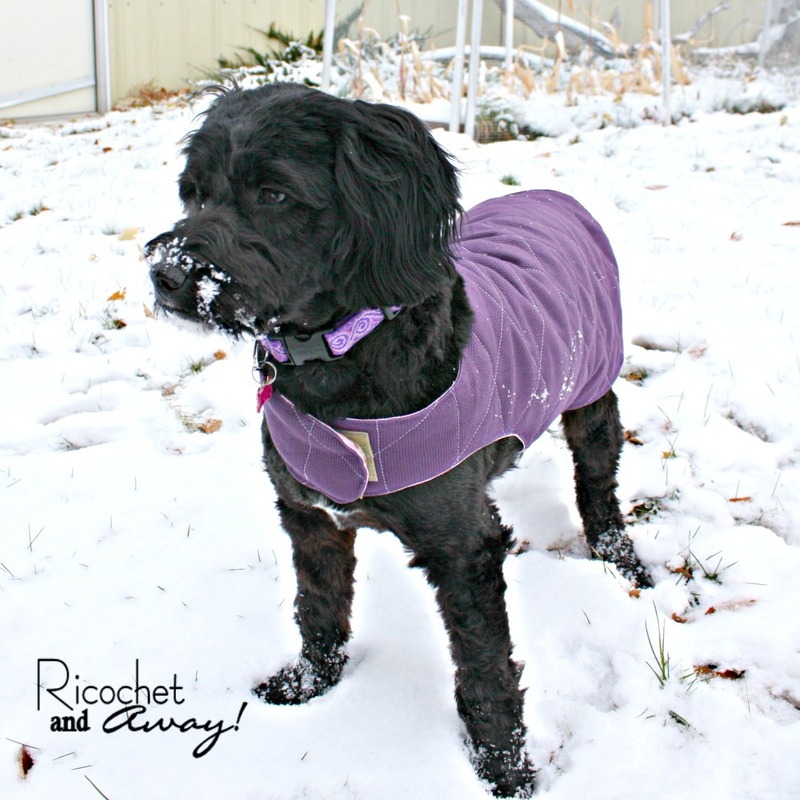 In any case, Pippa doesn't seem to mind wearing the coat. She was apprehensive about the sound of the Velcro pulling apart, but cockapoos are notoriously skittish dogs. I made a Pinterest Board full of dog coat ideas and patterns. So if you're in the market for a doggie jacket, that's a good place to start. 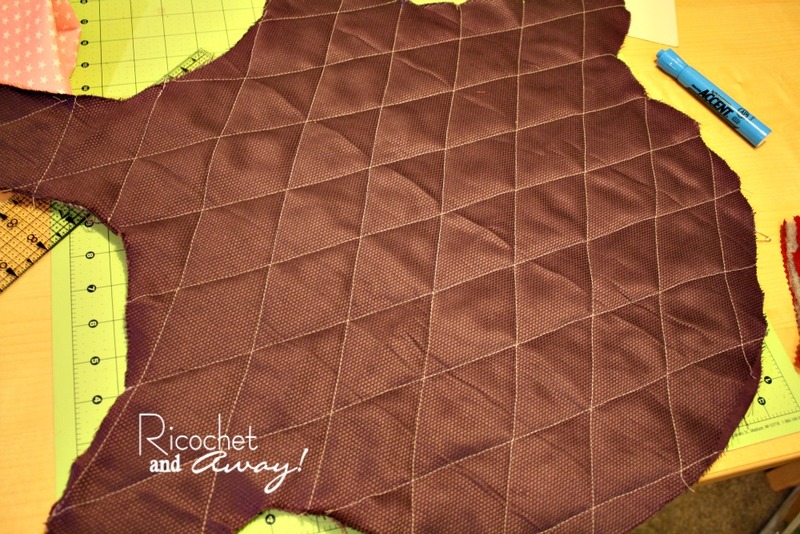 Many of the patterns and styles were quilted all the way through the coat and the raw edges were finished with bias tape. 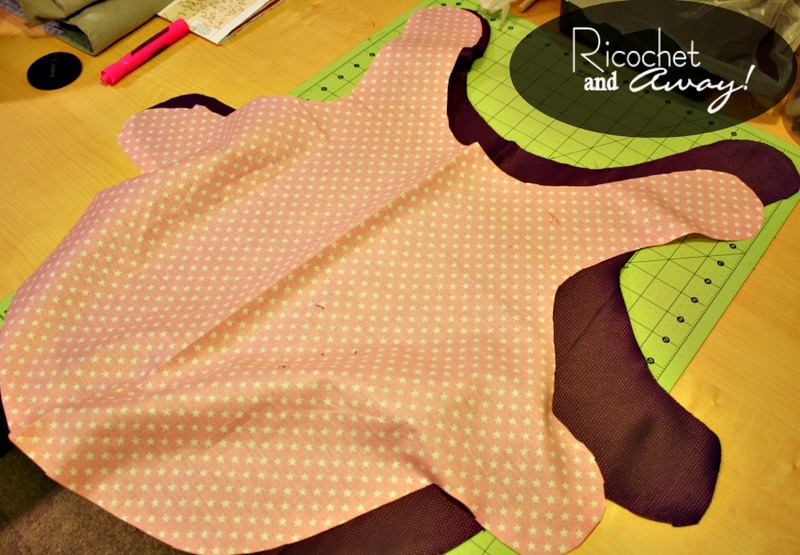 I like the finished look of those dog coats, but didn't want to spend the time fiddling with bias tape. I'm sure I'll be making more coats for Pippa this winter. I think I'll alter the pattern again and move the belly strap up even closer to her front legs. 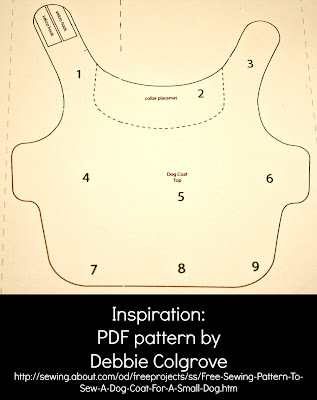 If you look at the pic of the inspiration pattern, you'll see that one front tab (that goes around the neck) is longer than the other, while the tabs on Pippa's coat are equal in length. I might try that out for the next coat if I remember. I'm also thinking about a doggie Halloween costume, a coat with a ruffled edge, a coat with some "bling" like silver studs, or a using a freezer paper stencil..... Lots of possibilities for such a quick and easy sewing project. 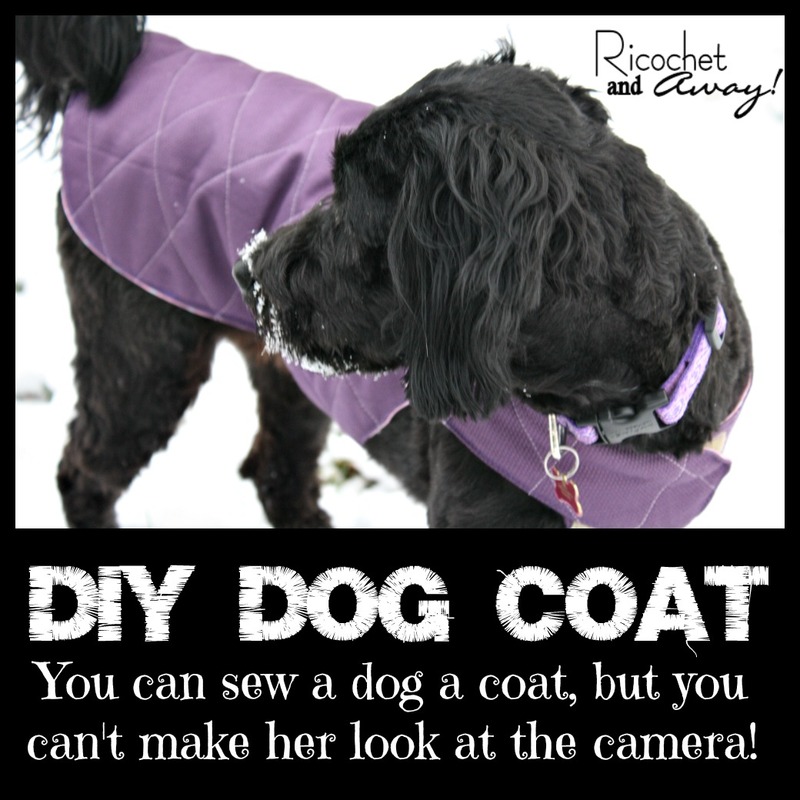 Have any of you, my lovely readers, ever sewn a coat for your dog? Does your dog have a flashy wardrobe? And I'm really curious about this: Do you think Pippa needs some matching booties? 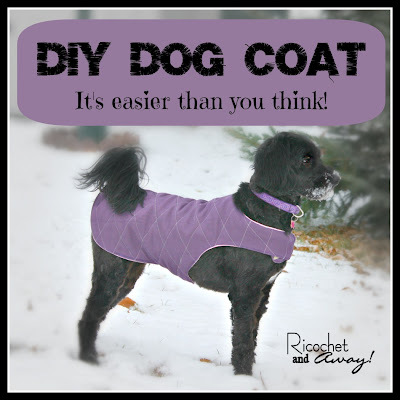 This is what Pippa uses and we love it!!! I bought two rather pricey foam rubber beds with removable covers, but Pippa totally destroyed them both. She pulled off or chewed through the covers and shredded the foam rubber to tiny bits. No joke! This bed is less than half the price of the others I brought. It is all one piece and fits perfectly inside the crate. Pippa has slept on it for 2 months now without destroying it, so she must approve as well. The other beds didn't last 2 weeks. awww... you must love your little pup so much! I love this! 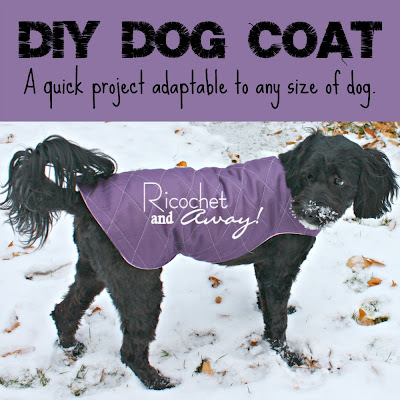 I want to make one for my doggy. thanks for sharing. We have three (yes we're crazy) standard poodles and live in CT. Not the parts hit by the storm, we just lost power for a few hours, no damage. Anyway, One dog is 8, one is 10, then there's the baby at 2. Not too worried about her, but her elders have hip dysplasia and/or arthritis and winters aren't getting easier for them. You might be getting a "help" email from me; adjustments on this scale stretch my limits. BTW, adorable pooch!! What type of fabric did you use for the top? 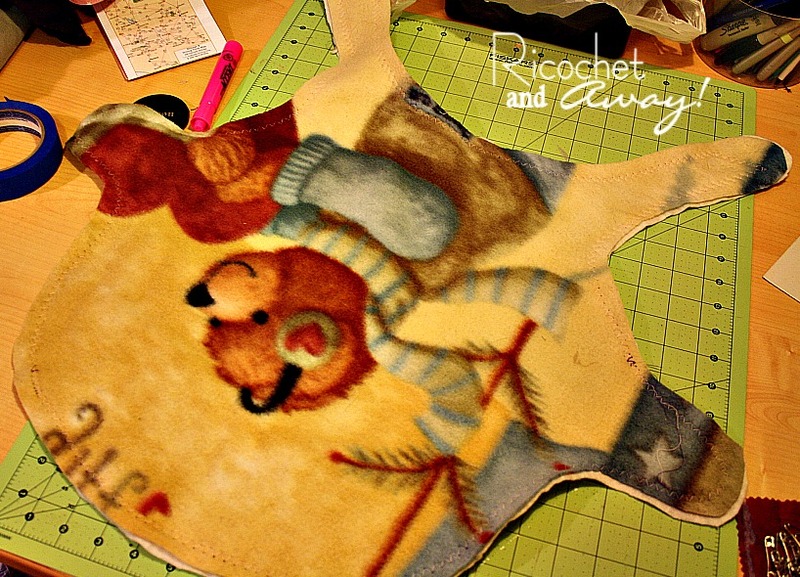 I need to make a coat for my dachshund because nothing is long enough. Hi orange sugar! You came up as a no-reply comment, fyi. For the outside fabric I used an upholstery weight woven fabric that I found at the thrift store. It would something you would make a couch cushion or drapes out of. If you're going to the fabric store, I recommend looking at the home decor canvas, outdoor canvas, or a thick nylon like you'd see a windbreaker jacket made out of. If you're looking for waterproof, I think the felt-backed vinyl like used for table cloths would work well. Please let me know how it all turns out. Thank you so much for this tutorial! I just adopted a 13 year old lab mix and her deep chest, skinny waist and long body made it impossible to find a cute coat for her. 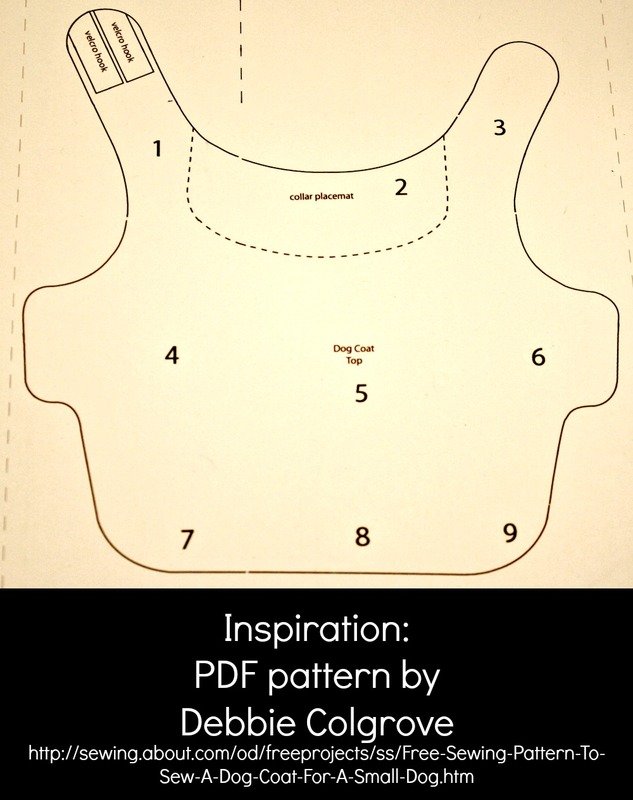 I made a pattern from scratch and used your tips for sewing and it came out AMAZING! Everyone is asking me where I bought it and when I tell them I made it, they ask me to make one for them :) Thanks again!!! Wonderful tutorial, thanks! 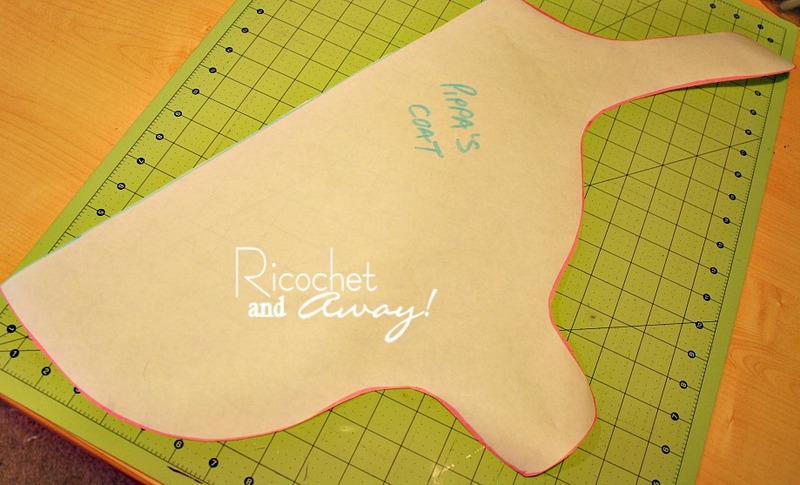 Just attempting to make a version for my kitten who loves going outside but hates the snow... hahaha. We shall see how that works out! Thanks for the post. My little South Carolina rescue doesn't like the Vermont winter even after a year. She'll love this for our morning walks. Great tutorial. 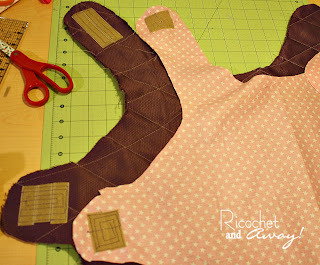 I love the quilting idea. Looks very professional! Would love to know what kind of bed you talked about in the ps. looking for dog beds that dogs don't LOVE to chew up. Sorry! Somehow that whole picture link disappeared. Have you tried spraying Bitter Apple on the bed? I love this style coat and the idea to do it without binding is always appealing. Where is the link for the bed? I am looking for something for my little guys crate. Thanks for the detailed instructions! 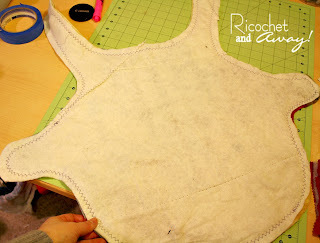 I am teaching myself how to sew again after 30+ years! I thought you might like to know that I pinned your blog post. 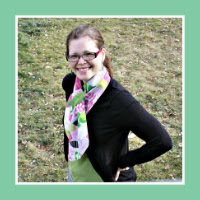 You also might like to know about a vintage fabric giveaway I'm hosting on my blog: http://livingvintageco.com/2015/02/sewing-ideas-using-vintage-linens-giveaway/. Thank you for the post! Very informative and detailed on the instructions which I appreciate immensely! I can't say that I am a very crafty person myself but your set of details on the blog made every step very easy to follow. The coat I made for my golden doodle is very durable and can withstand the harsh cold snow! Thanks Melissa! You are so welcome. Pippa has outgrown her coat in this post. I've had to make some adjustments to the original pattern to make new ones. Take care! There is a link in the first paragraph. There is no template other than the one for a small dog that I link to in the first paragraph. 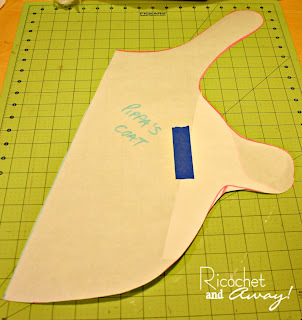 This post is about how I modified that small template to fit my medium sized dog. Another commenter said she was able to modify the template to fit a lab mix. 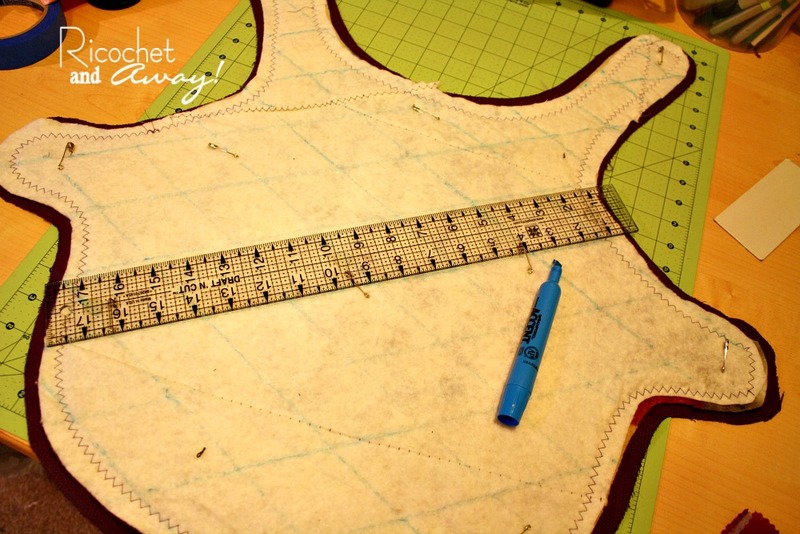 I think with careful measurements you will be able to modify it to fit your golden retriever. Best of luck! 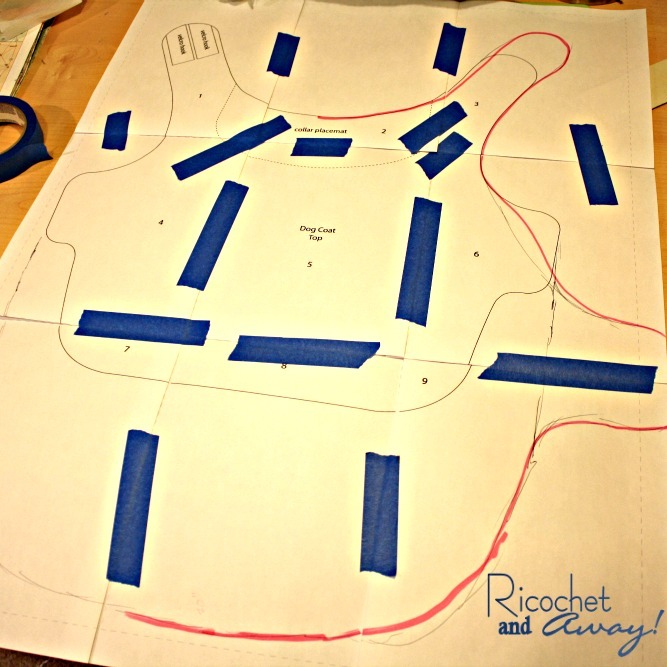 Thank you for taking your time and effort to post this pattern and directions for other people to make for their pets. It is a nice thing! Best Selling Products online - Find the top most popular items in ShopTug Best Sellers. Shop our most popular products here. Free Shipping available. New York City! Shoes! Handbags!